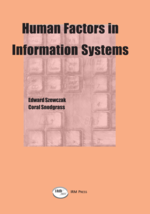 This paper reports the results of a field study that investigated the relationship among organizational actions (management advocacy and internal computing support), computer attitudes, and end-user satisfaction in public organizations. The results show that computer attitudes have a positive direct influence on end-user satisfaction. The findings also reveal that management advocacy has positive direct effects on computer attitudes and end-users’ satisfaction. Internal computing support, however, failed to show a significant effect on both computer attitudes and end-user satisfaction. We discuss these results and suggest directions for practice and future research.